This is a charming story about a book sitting… and sitting… just waiting to be read. It then takes matters into its own hands by springing a leak which grows bigger by the second, eventually turning into a raging sea. Young JJ is playing happily with his toys, and is the first to notice that the book is leaking when water rains down from the shelf. Initially JJ’s parents refuse to believe that anything out of the ordinary is happening, as they sit comfortably in front of the television. 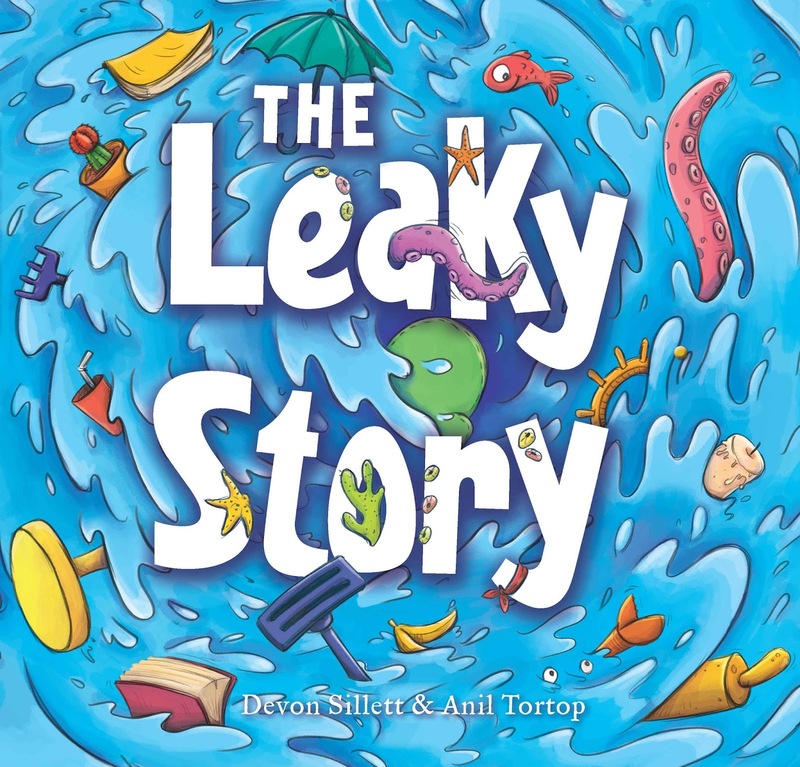 In a similar vein to the much-loved picture book ‘A fish out of water’, this small leak that begins with a ‘drip, drip’ eventually turns into a full sprung ocean complete with sea creatures, boats and pirates – all in the living room of the Blossburn family. There is a great deal of life and fun contained in both the text and illustrations of this book. Many of the images depict words leaking out of the pages, and so provide an extra layer of challenge for children who wish to piece together the letters within the images. I personally, particularly enjoyed Mum on a small island in the lounge room, holding at bay a menacing pirate (who’s in the water) by keeping one foot on his head. She’s also terrorising another dangerous creature with a rolling pin. Ten out of ten! The use of language is wonderful too. The author doesn’t talk down to the readership and uses appropriate words such as ‘curious’ and ‘sated’ within the natural flow of the narrative. 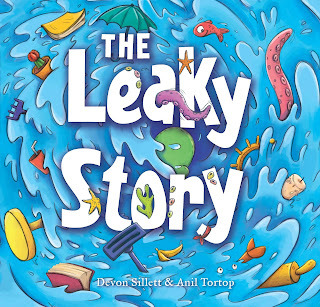 Author Devon Sillett is currently completing a PhD on children’s picture books, and illustrator Anil Tortop works as illustrator and animator. Together they have created a book which will delight and captivate readers who take the plunge and wade through this story (see what I did there!). This is a book to capture the imagination and be revisited -- definitely one for exploration. It is recommended for children 4-8 years.